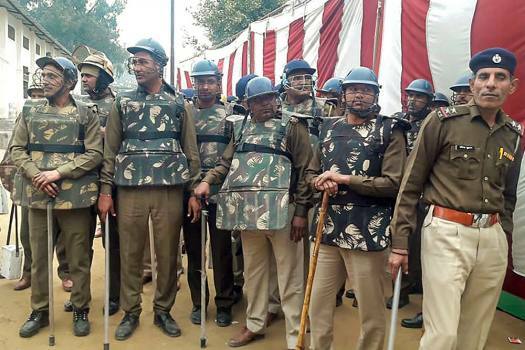 Security personnel stand guard during the counting of votes for by-election in Jind. 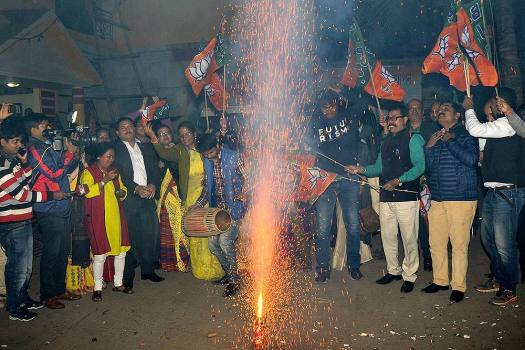 BJP workers burst crackers to celebrate their victory in Panchayat elections, outside the party's state office at Hengrabari, Guwahati. 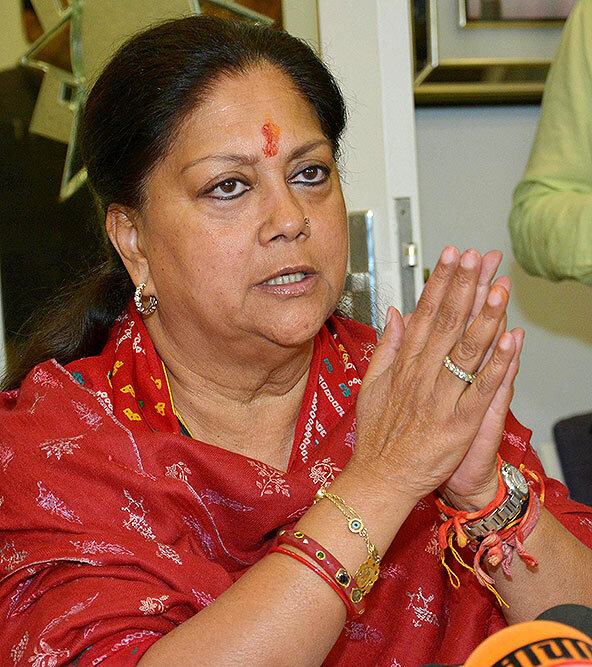 Rajasthan's outgoing Chief Minister Vasundhara Raje speaks to the media after the announcement of Assembly election results, in Jaipur. 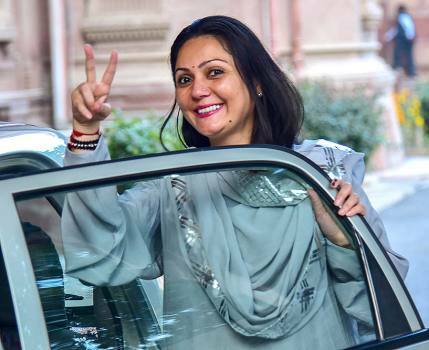 BJP candidate Siddhi Kumari flashes the victory sign after her third consecutive win in the Rajasthan Assembly polls, in Bikaner. 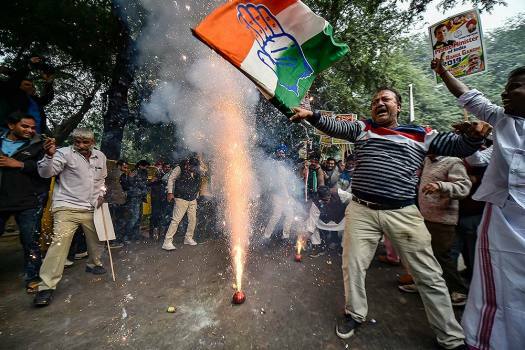 Congress Party workers celebrate as initial trends show the party leading in the states Assembly elections, at the Congress headquarters in New Delhi. 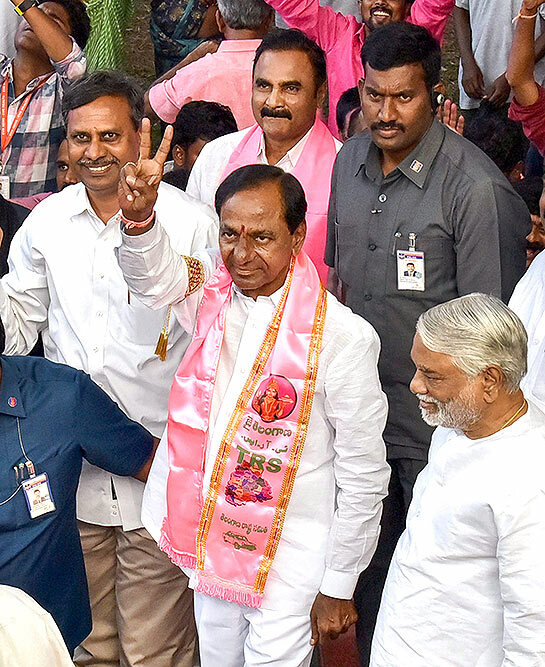 Telangana Rashtra Samithi (TRS) chief K Chandrasekhar Rao display a victory sign after his party won the state Assembly elections, at Telangana Bhavan in Hyderabad. 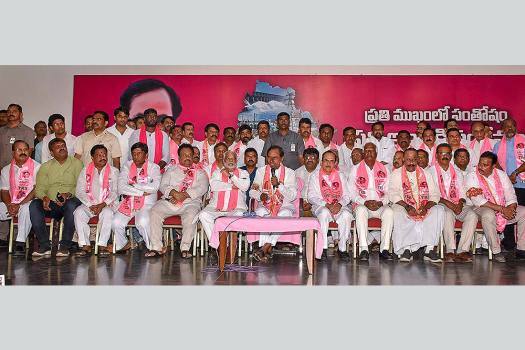 TRS leader K Chandrashekar Rao with party leaders addresses the media after the party's victory in Assembly elections, in Hyderabad. 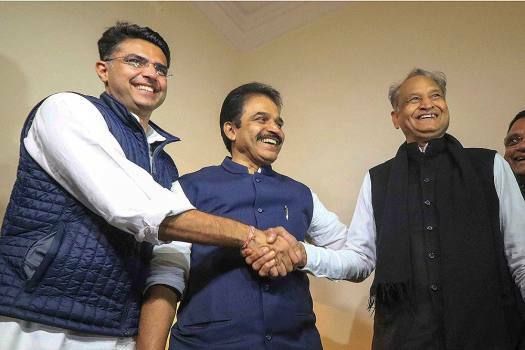 AICC general secretary KC Venugopal flanked by Congress leaders Ashok Gehlot and Sachin Pilot (L) after the declaration of Rajasthan Assembly election result, in Jaipur. 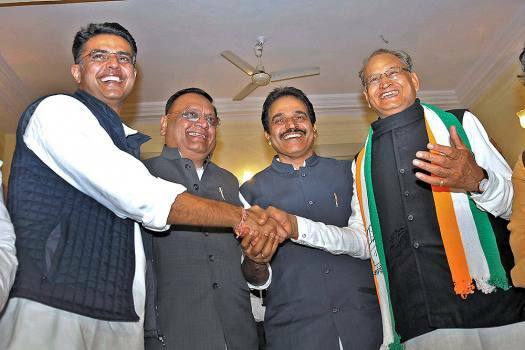 Congress leaders Ashok Gehlot (R) and Sachin Pilot (L) shake hands as K.C. 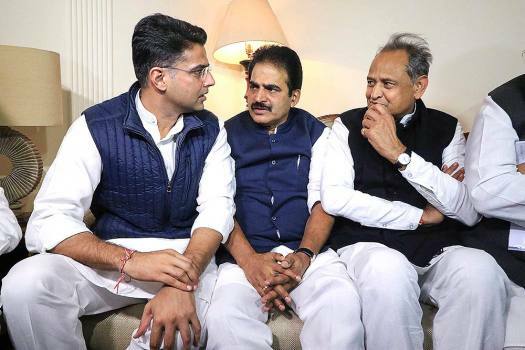 Venugopal looks on after the declaration of Rajasthan Assembly election result, in Jaipur. 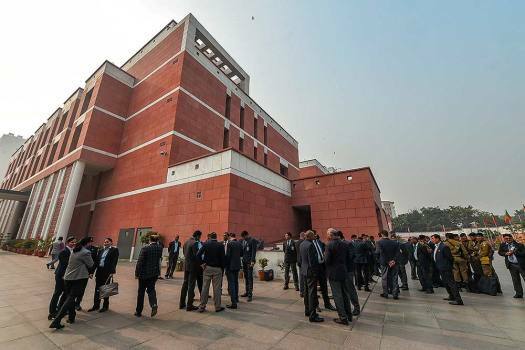 A view of the Bharatiya Janata Party (BJP) office at around 1:30 PM on the counting day of the Assembly elections in five state, in New Delhi. 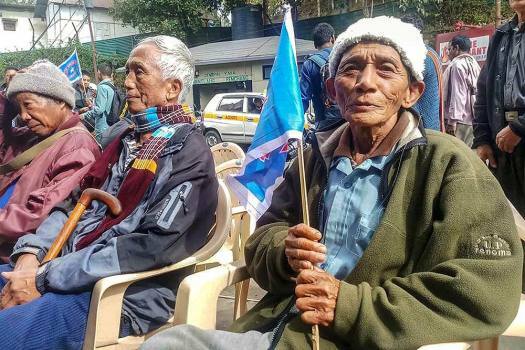 Mizo National Front (MNF) worker holds their party flag as they celebrate the party's victory in the states Assembly elections, at Party head office, in Aizawl. 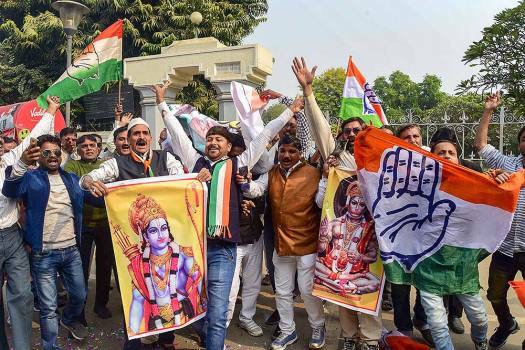 Congress party workers celebrate the party's performance in the recent Assembly elections in five states, at Anand Bhavan in Allahabad. 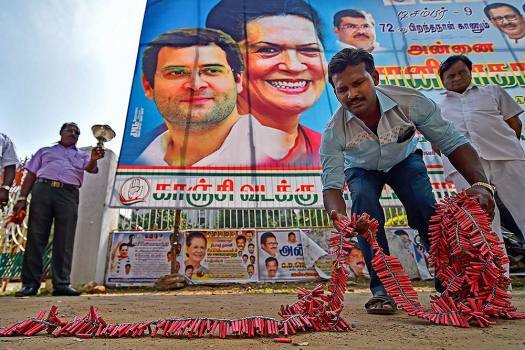 A Congress supporter lays down crackers to celebrate the party's performance in the Assembly elections of Rajasthan, Chhattisgarh and Madhya Pradesh, near TNCC office, in Chennai. 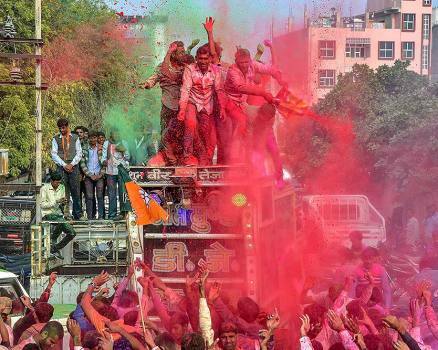 BJP supporters celebrate the party candidate Sumit Godara's victory in the State Assembly polls, in Bikaner. 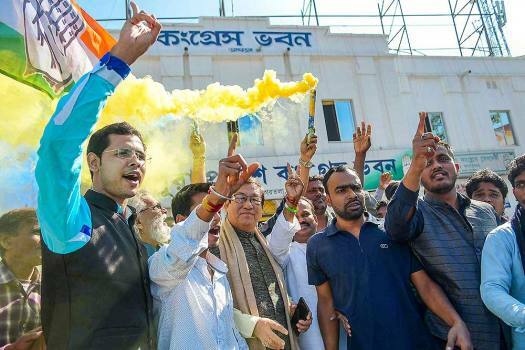 Congress workers celebrate the party's performance in the Assembly elections of Rajasthan, Chhattisgarh and Madhya Pradesh, at the party office in Agartala. 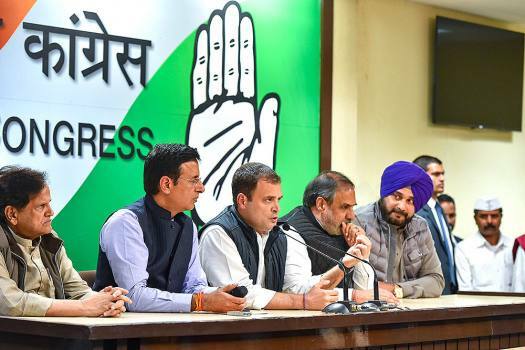 The Congress, which won the Assembly polls, leads the list with 56 MLAs having criminal antecedents, followed by the Bharatiya Janata Party (BJP) with 34 while the Bahujan Samaj Party has two such lawmakers. 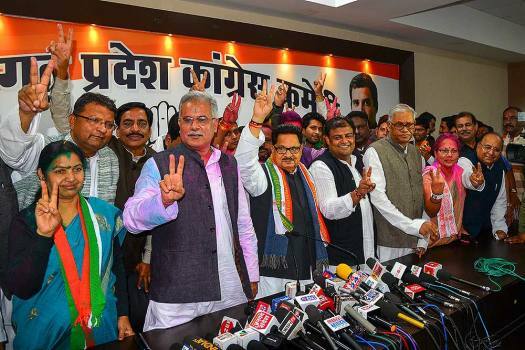 RJD's Sarfaraz Alam defeated Pradip Kumar Singh in Araria. 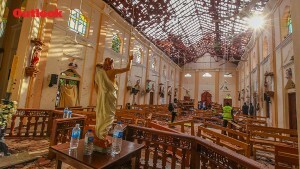 He also used the hashtag "DemocracyDemonetised" with his tweet to target the BJP. 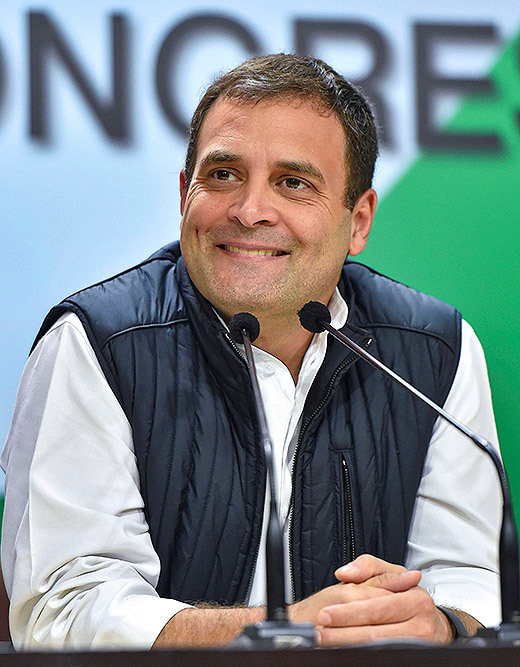 The Congress is leading in Ghaspani-ii seat.